It is a known fact that KitKat has introduced a slew of pretty unique flavours in the past. There was the Nasi Lemak flavour and even the King Of Fruits made the cut. Globally, there has been a series of pretty odd flavours as well, like a vegetable Kit Kat, a miso-flavoured one, and even a soy sauce Kit Kat! 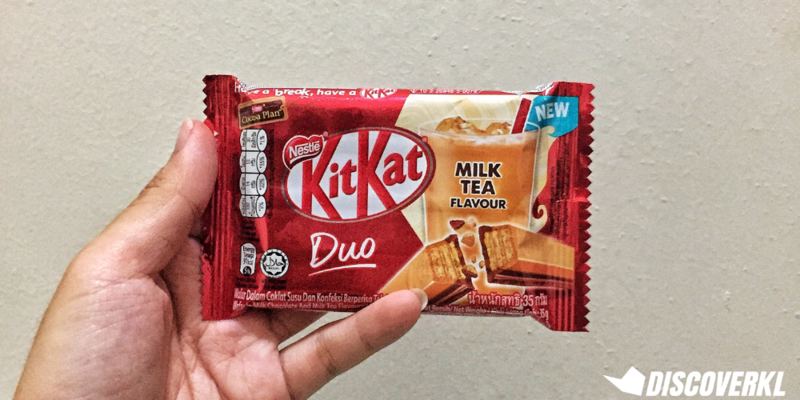 Now while the Malaysian Kit Kat flavours in the past were ambitious in all the wrong ways (find out how we thought of them here), Kit Kat has finally leveled up with the unveiling of a flavour that deserves to stay on our local hypermarket shelves…for good. 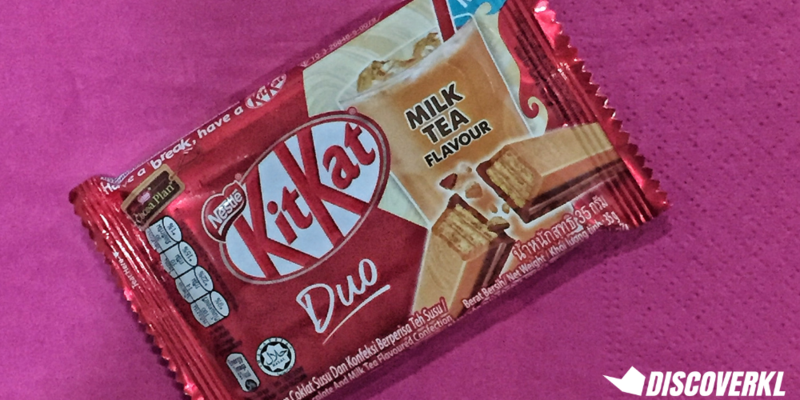 Featuring Malaysia’s iconic beverage, the all-new KitKat Duo Milk Tea actually sold out in certain stores during its initial launch but we managed to get our hands on a few to try. And halfway through the bar (don’t worry, we broke it in half because we’re not savages) we realised why it’s such a hit. As Malaysians, we are so familiar with the bubbly teh tarik beverage which can be enjoyed either hot or ice cold. And to now be able to enjoy it in a chocolate form is definitely a treat. The strong aroma of the milk tea hits us right away as we unwrapped the packaging. 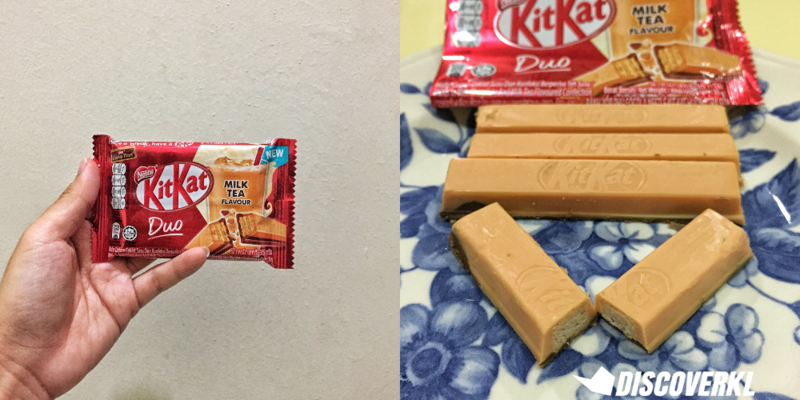 We liked how KitKat managed to capture the flavour profiles of a teh tarik, down to the floral, almost earthy aftertaste. Where teh tarik has a tendency of being sickly sweet at times, we didn’t find this bar of chocolate to be unpalatable. In fact, it’s the opposite. 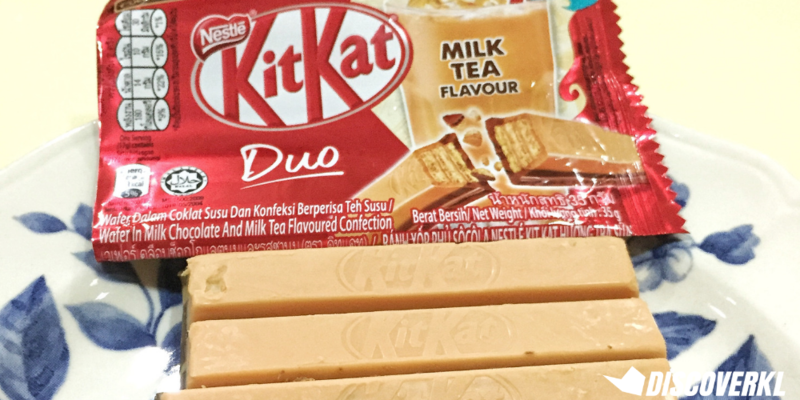 It still has the signature Kit Kat chocolate flavours but is met with a semi-diluted teh tarik taste. Almost like having a teh tarik at the mamak, but one which is less kow. Matcha Kit Kats are one of the brand’s bestselling flavours and where it is now part and parcel of Japanese culture, we’d hope the same for the Teh Tarik Kit Kat as well. The iconic green tea dessert is often times a classic souvenir for travellers in the Land of the Rising Sun, so why can’t it be the same for the Teh Tarik? We could see it being a big hit amongst tourists, considering how the flavour profile is subtle but instantly recognisable. If you’re curious as to what the Teh Tarik flavour tastes like, you can purchase it at most hypermarkets, supermarkets and convenience stores in Malaysia. 2 share bags (each containing 5 pieces) are currently priced at RM13.